For those returning to Weigh Down. This class focuses on those who are returning to Weigh Down and know the basic principles, but have been away for a while. It is also for those who have started to mix or return to dieting gimmicks. This class will reveal where the dieting world has crept back in, and help you to release control of man made rules, and return to the effortless Spirit-led freedom of God's way to eat. You will get back on track and start losing weight again - amazed by the love of God and simplicity of His way of eating. It is time to be free again. 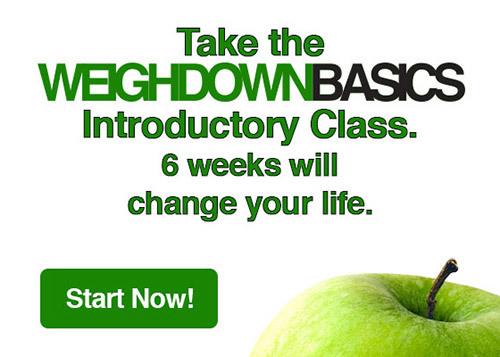 This powerful intensive class is 10 weeks long. You will have 10 video lessons along with 10 audio class lessons. 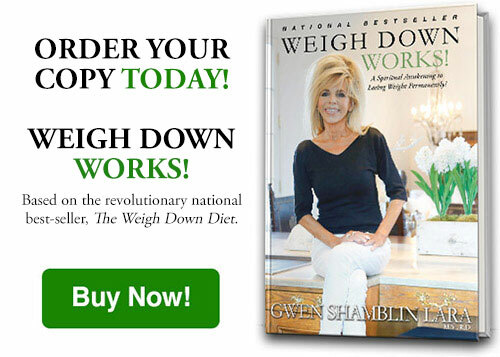 In addition, you will have access to a downloadable Revolution Workbook and reinforcement lessons to keep you focused. If you would like to purchase an additional hard back workbook, click here. There are several ways to take this class. First you must be a Weigh Down All Access member. This membership gives you access to all of the classes and resources mentioned above. Once you sign up for All Access, you will be able to take this class as a personal on demand study or you can sign up for a specific class time hosted with a group by a coordinator. If you choose to take it with a group, please see class times listed below. You will sign up for those specific class times once your Weigh Down All Access Membership is complete. .
CLICK HERE to sign up for Weigh Down All Access and start your class! Already a member of All Access? Click HERE to register for a class.